As JOHN CHIRWA writes, unethical tendencies in allocation of plots and the chaos within the system have stifled efforts to have people stay in conventional areas and pushed the poor into disaster-prone locations. Anderson Robson claims that the Mzuzu City Council (MCC) duped him of K1.6 million in a land allocation exercise that has gone sour. The Chibanja Township resident claims to have paid the cash through the Mzuzu City Development Account number 0005704000200 in March last year in anticipation to have a plot immediately, but to his disappointment no land has been allocated to him up to this day. Apparently, it has come to light that the plots in question do not even exist because the city council has not compensated the people in the areas. “Now my question is, why did the city council falsely collect money from people when they have no plots?” Rabson wondered. MCC spokesperson McDonald Gondwe has since confirmed about the incident. “Robson’s concern is valid. That also applies to other people who were offered plots in that area, but we are not sitting idle on the matter. It has taken us long to address the issue due to a number of factors. “Among them is that when the city extends its boundaries, there is need to make proper compensations to the affected families. But that takes long,” said Gondwe. It all started with an advert the city council floated in local newspapers in December 2017 that it had plots at Katoto Area 6 Extension for residents to apply. Robson, like several other city residents, applied for the plots and he was provisionally allocated plot number MCW/A6E/L/138 on February 26 2018. In view of that, Robson was requested to accept the offer within 90 days from the date it was made. In acceptance, he was required to pay in full the development charge of K1 600 000. Robson says he did not hesitate to pay the amount after realising that this was his golden opportunity to bid farewell to unconventional plots in townships like Chibanja, Chibavi and Masasa which are prone to disasters. “That was in March, 2018 and up to date I have heard nothing from the council,” he said. Robson fears that even if the council addressed the compensation issues today, people cannot build houses this year because communities in that area have already planted their crops. “Now what will be the cost of building houses in 2020/2021 for someone who wanted to build a house in 2019?” he reasons. This is just an example of how the chaos in city councils has frustrated efforts individuals to build in conventional areas. Among other frustrating conducts is unethical behaviour by politicians, technocrats and physical planners when locals attempt to procure plots in designated areas. 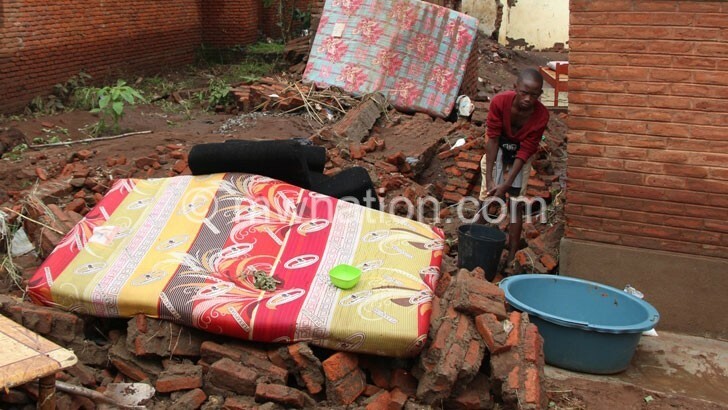 Worse still, the multiple land ownership by city councils, Malawi Housing Corporation (MHC) and the Ministry of Lands, Housing and Urban Development in cities has been cited as the other reason for the uncoordinated development. Some of the landlords in cities include councils, MHC, Ministry of Lands, Housing and Urban Development and other private landlords like the Catholic Church, estate owners as well as traditional leaders. MCC’s Gondwe says multiple land ownership works to the disadvantage of city councils when they try to police individuals settling in informal areas. “Some landlords allocate land without considering regulations or proposed land uses as per plans. For example, Sonda and Luwinga in Mzuzu areas are designated as industrial sites but you find people residing there. These informalities are coming in due to multiple landlords,” says Gondwe. He, however, says the council is creating mixed plots to cater for people of different economic statuses. “We are sensitising other landlords to prepare user-service plots so that they should be able to allocate developers according to our city plans. “We are also speeding up the process of consultations and payment of compensations to formalise the land. In this way, we will speed up the process of land ownership and administration,” he says. Ministry of Lands spokesperson Charles Vintulla says his ministry as the main landlord seldom checks what is happening on the ground because development was left in the hands of city councils. Mzuzu University physical planning expert Mtafu Manda says it is unfortunate that city councils are blamed for the uncoordinated development when councils “do not have land to allocate”. He says families referred to as living in informal areas were just incorporated into the city by boundary extensions and nothing has been done to them to make them ‘urban’. “Most of the land belongs to Lands Department or MHC. City councils are responsible for the land that is already informally settled in all cities. “will realise it is just the poor who build in these areas, it is mainly those who are not connected and unable to access plots in the so-called good locations,” he argues. As the blame game continues, Robson as a concerned developer in Mzuzu wants city councils to rise to the occasion and be professional in the allocation of plots.